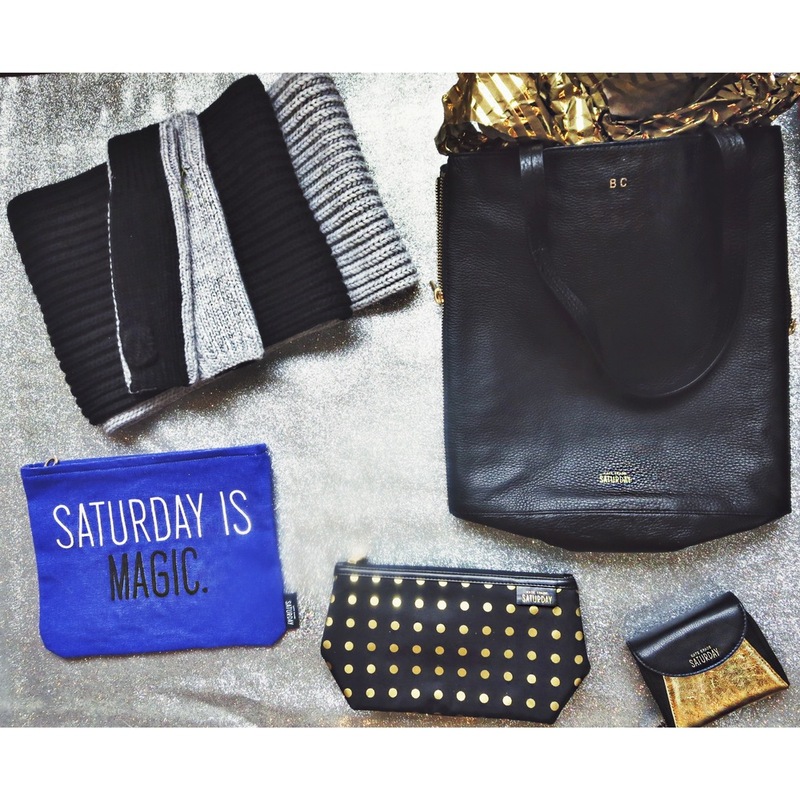 I'm so excited to be collaborating with Kate Spade Saturday on two party looks for the holiday season! They have really fun party dresses in all different styles, and great accessories that are perfect for gifts. I'm wearing the Kate Spade Saturday Trapeze dress - a fun metallic gold and black print that has just the right amount of shine. I threw a black tuxedo blazer with leather lapels over it for a classy look. (on sale right now!) I accented the outfit with a few pieces of gold jewelry, a very small Chanel clutch, and some pointed toe Prada booties (shop similar here) for a little edge. I've also picked some favorite items as a little gift guide for you - PERFECT gifts for all of your girlfriends! You can shop it all with the links below. Speaking of girlfriends... Kate Spade Saturday is hosting a sweepstakes called "Gift All Your Girls" and not only can YOU win a $1,000 shopping spree, but you can win one for FOUR of your best friends too! That means $5,000 total for you and four of your BFFs to shop at Kate Spade Saturday! SO COOL! Check out the details HERE and enter for your chance to win.